Valencia is a neighborhood in Santa Clarita located within Los Angeles County, California. It is in the . northwestern corner of the Santa Clarita Valley, generally east of Interstate 5. 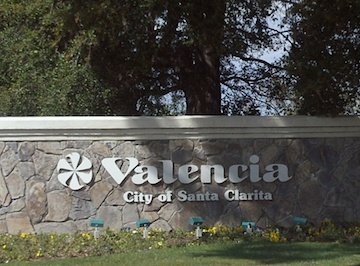 Most of Valencia is part of a planned community; it was one of the four unincorporated communities (along with Saugus, Newhall, and Canyon Country) that merged to create the city of Santa Clarita, California, in 1987. Landowners in the Valencia area pay special taxes to maintain landscaping and the paseo system. Major schools in Santa Clarita include California Institute of the Arts, College of the Canyons, Hart High School, Saugus High School, Canyon High School, Golden Valley High School and Valencia High School. Valencia is also home to the Six Flags Magic Mountain theme park. estimated median household income was $89,596.